Editor's note: This is number 12 in a series of posts by Dennis Horne, sharing quotes from his book, Determining Doctrine: A Reference Guide for Evaluating Doctrinal Truth. You can read the first post here. The first part of each post is a new introduction, placing the quotes in context with contemporary issues. The quotes that then follow are from the Determinining Doctrine book, which contains many quotes that are not readily available elsewhere or are exclusive to the book. 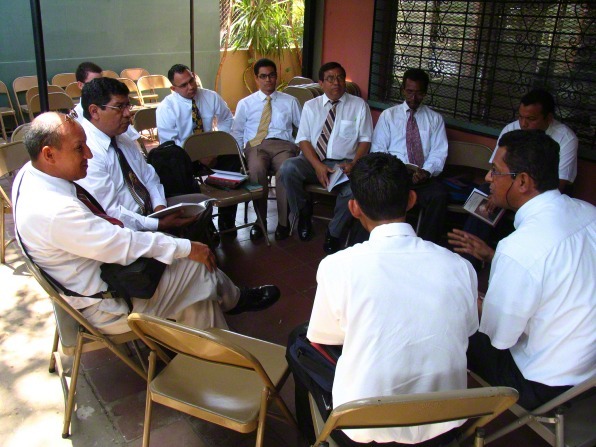 I know that most of you [teachers] are sincere and earnest and endeavor to give your best effort to teach the gospel of Jesus Christ as has been restored in these latter days through the Prophet Joseph Smith. I have known and observed some, however, who while being sincere were sometimes wrong or in error. If false doctrine or misinterpretation of scripture or prophetic statements is given, it is usually unintentional. Sometimes we misspeak ourselves. Sometimes our preparation is lacking. We attempt to instruct in ignorance, that is, “to wing it” maybe too often. There are occasions when we have been misinformed. Sometimes, however, we assume an expertise or authority for which we have not a right. All of these factors must be carefully accounted for along with our good intentions in fulfilling our responsibilities. Aberrations or departures from truth always have a way of surfacing to the attention of others. Departures from the truth are made manifest in a variety of ways. There stands a host of witnesses of what we are about and what we say and what we do. I might add that even internet anonymity will not shield one from accountability at the final judgment. It is a very common thing for people to be misquoted. This applies with particular force to the general authorities. Almost everywhere I go, including almost every stake conference I attend, someone comes to me and says that at such and such a time and place I said such and such to them or to someone else. Now I ordinarily have no independent recollection as to what was said on the indicated occasion. In the great majority of cases, however, I am confident I would not have said the thing attributed to me. Very often the language and approach in the quoted material is such that I can identify it in my mind as having come from some other one of the brethren…. From time to time statements are circulated among members which are inaccurately attributed to the leaders of the Church. Many such statements distort current Church teachings and are often based on rumors and innuendos. They are never transmitted officially, but by word of mouth, e-mail or other informal means. We encourage members of the Church to never teach or pass on such statements without verifying that they are from approved Church sources, such as official statements, communications and publications. Any notes made when General Authorities, Area Authority Seventies, or other general Church officers speak at regional and stake conferences or other meetings should not be distributed without the consent of the speaker. Personal notes are for individual use only. True spiritual growth is based on studying the scriptures, the teachings of the Brethren and Church publications. I did not make that statement. I do not believe that statement. I hope that you will clarify this with your missionaries and members. The statement, on occasion, has been attributed to others of the First Presidency and Twelve. None of the Brethren made that statement. We would appreciate your help on this matter. I am directed to tell you that President Smith has been misquoted on this subject. The Church has not taken any such attitude as indicated. In regard to the second question, namely, the denial of temple recommends by a bishop to couples who have been practicing birth control, we would appreciate it if you would give us the name of the bishop who took this attitude, and the ward over which he presides.